I composed the Pentecost Mass between 1994 and 1995. This work was commissioned by the Notre-Dame Cathedral in Paris, France, where I was appointed resident composer in the Spring of 1995. The original instrumentation included adult choir, children choir, brass quintet, organ, and timpani. The premiere was conducted by Nicole Corti. My parents attended the premiere with me. This has been one of the most moving and unforgettable experiences in my life as a composer. We were located in a very special place: at the front of the choir of the Cathedral, next to all the singers and musicians, and just a few feet behind the Cardinal and other celebrating priests. Even today I have a difficult time thinking that my music was performed several times in a cathedral that is an icon of the Western culture: Notre-Dame de Paris, a magnificent building that for more than 800 years has been witness of the history of Paris and Europe. About the music: Considering that the commission was specifically for Pentecost, the Gregorian sequence Veni Sancte Spiritus became the natural source of inspiration and musical materials. The melody of this sequence, as old as the cathedral itself, was the cantus firmus of my composition. In fact, I used the entire sequence in the fourth movement, over a modal harmonic background, full of sonorities that combine medieval cadences and contemporary progressions. In a similar manner, the opening of the sequence, a characteristic ionian tetrachord became the main motive for the composition of the Kyrie and the Agnus Dei. Modal harmonies, marked contrasts of tempo, texture, and instrumentation, and the alternation of contemporary sonorities and medieval cadences gave shape to the materials of this composition. This version for orchestra and choir was made especially for this recording. 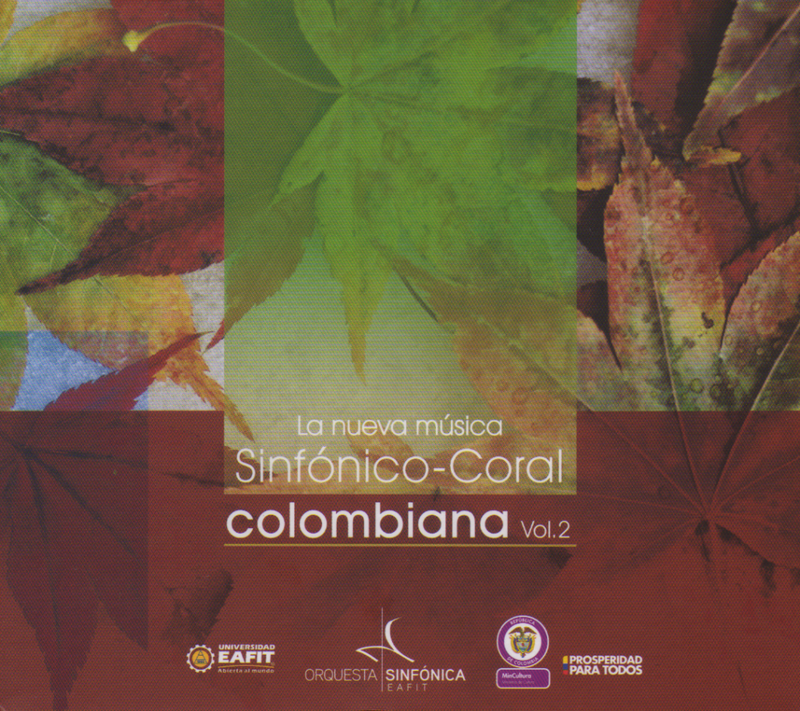 I dedicate it with my sincere gratitude to Cecilia Espinosa and the EAFIT Orchestra and Choir.